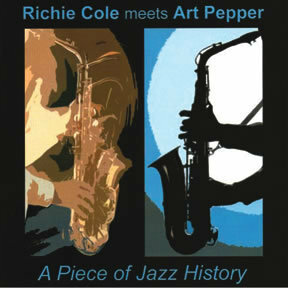 In spite of coming of age a generation apart, altoists Art Pepper and Richie Cole share the common heritage of bebop. 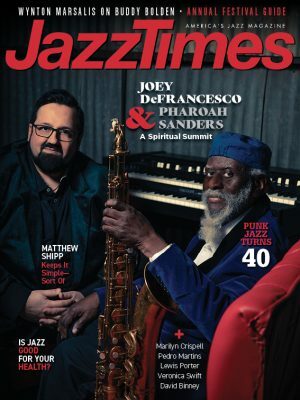 Ironically, Cole, the younger man, reflects the influence of bop icon Charlie Parker more directly than his older associate, who adopted a more individualistic approach to Parker’s innovations. In early 1982, Cole was leading his own groups and Pepper was enjoying a personal renaissance. A Piece of Jazz History is a remastered version of a one-off recording they made with pianist Roger Kellaway, bassist Bob Magnusson and drummer Billy Higgins four months before Pepper’s death in June. Cole appears on alto, tenor and baritone, and his best playing may be his exhilarating Birdlike bari excursion on the “Rhythm” changes-based original “Return to Alto Acres.” Pepper doubles on clarinet, and as with Cole, some of his finest work is done on the secondary instrument and on that same tune. Cole’s improvisations flow easily and swing brightly. Pepper’s style was quite fluent in the 1950s but upon his mid-’60s return featured an intense, darting phraseology that could sometimes, as on occasion here, sound overly fragmented. Pepper may not be at his very best, but he’s still better than most, and Cole is in excellent form.